Three Different Migration Methods: Which One, You Would Prefer? Email migration Software can be fairly considered as a switch from one type of email account to another for example: from Mac Outlook 2011 to Outlook for Windows platform. So, before you resort out to choose any of the migration methods, weigh your options clearly. Although this option is not available with all the email clients but whenever it is there, it takes a long time for executing the process. Getting along with free solutions would be one of the preferred choices to escape from the long time taking procedures of manual process. Get a free trial and if convinced, go for the migration tool. You certainly pay for them but you never stand at the odds of losing your data. Retains email status elements such as read, flagged, etc. Give the software a Trial by Our Free Demo Version We have given ample space to our customers to decide clearly on whether they should give it into buying or not. We have made this process easier for them by providing the free trial version of the Tool. Download the free trial version of email migration Software to know its functionality and features well. However, the demo version has limited functionality .i.e., you can export 50 items and add only 2 files of each kind. Further, it allows users to scan a file up to 2GB and facilitates the addition of only 10 files in a group. The email migration tool is an all-in-one solution to perform export process from one file format to another. This software performs amazingly & provide its users of looking into the emails thoroughly with various views provided. Thanks a lot. I was looking for the email migrator which give support to multiple email clients. 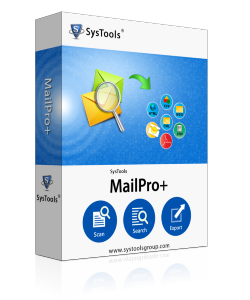 My searching comes to end when I finally got MailPro+ Email Migration software. It provides support to 15+ popular email client. Thanks to the developer team. Copyright © 2015-2019 MailPro+™ , All Trademarks Acknowledged.